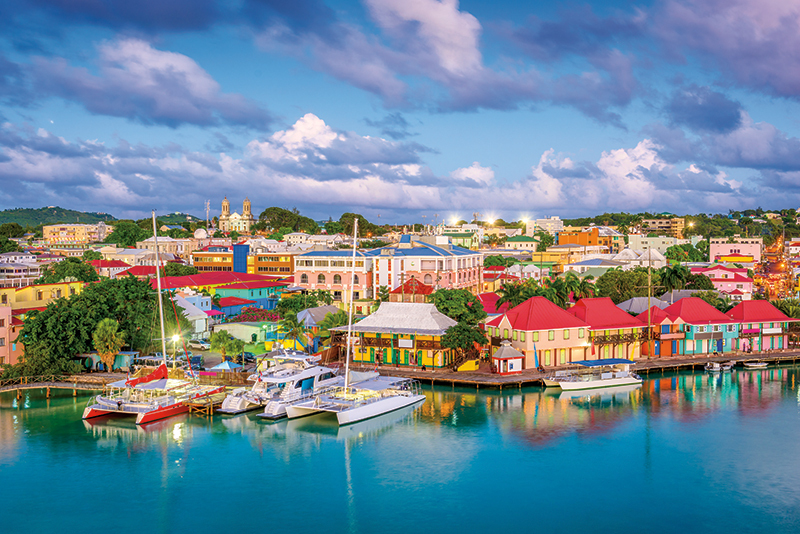 Antigua is a Caribbean paradise that has much more to offer than just gorgeous beaches. Sometimes, you really have to wonder how hotels got their names. Was it after an owner? A landmark? A royal? 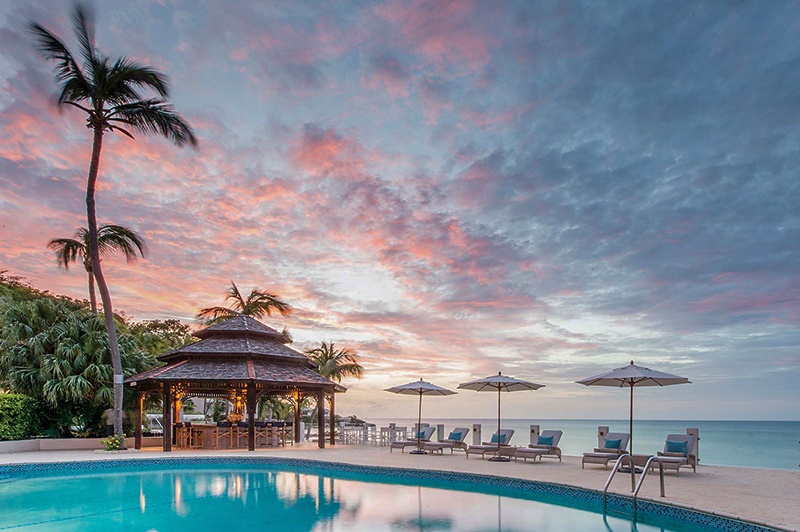 At Blue Waters Resort & Spa in Antigua, there’s no question there. Simply look at the sparkling blue waters all around you and you’ll have your answer. Of course, the cerulean waters aren’t just limited to the resort — it seems like the vista goes with you everywhere on the island. 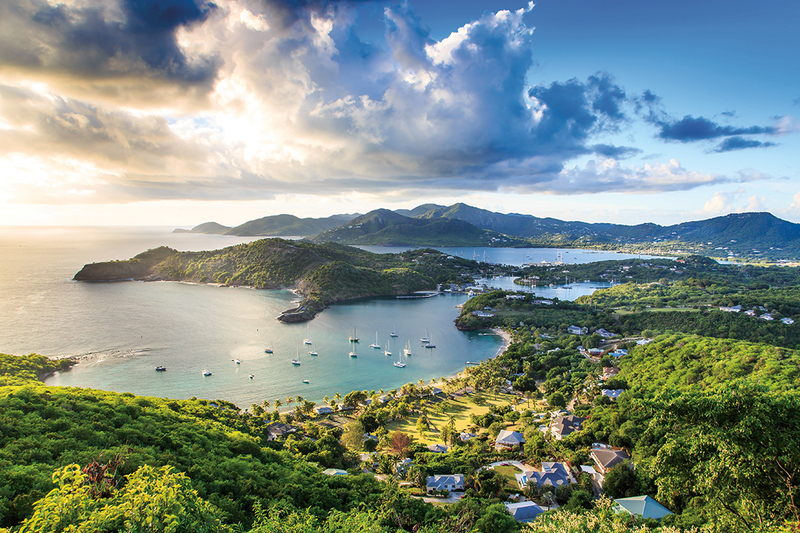 And like any good Caribbean getaway, Antigua boasts more than beautiful beaches. 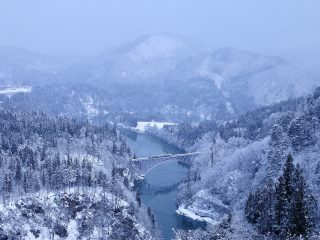 But to get an idyllic view of just that, go for a hike up Shirley Heights. As you make your way up to the top of the restored military lookout and gun battery, you’ll be distracted by the incredible vistas, since you can see where the ocean meets the sky — and everything around you — completely unobstructed. Take in the cacti and interesting flora as the waves crash below you. To make sure you stay on the path, enlist Wadadli Trail Blazers, whose friendly guides will share fun facts along the way. Try to go on a Sunday night, when a weekly barbecue overlooking Shirley Heights is held – and as an added bonus, you can catch the sunset. You’ll be sure to work up an appetite, so get ready to fill your plate with local eats fresh off the grill. Opt for just-caught fish prepared in a rub with just enough kick or jerk chicken, to name a few, then top it off with al fresco staple sides like potato salad. Wash it down with a perfectly mixed rum punch. The music is another major draw – a band playing everything from traditional reggae tunes to Top 40 hits with a Caribbean twist. The band’s energy is infectious, getting everyone on the dance floor. The view from Shirley Heights. Photography: Shutterstock / loneroc. Nelson Dockyard. Photography: Shutterstock / PlusONE. Betty’s Hope. Photography: Shutterstock / evenfh. Carolyn’s Beach Bar. Photography: Blue Waters Resort & Spa. The Cove restaurant. Photography: Blue Waters Resort & Spa. The Cove Suites. Photography: Blue Waters Resort & Spa. The Spa at Blue Waters. Photography: Blue Waters Resort & Spa. Blue Waters Resort. Photography: Blue Waters Resort & Spa. If your legs are a little sore the next day, The Spa at Blue Waters is the perfect place to unwind. 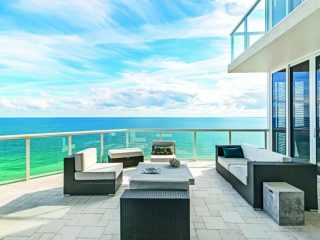 The bright, clean Zen space overlooks a pool and the ocean, which you can see from some of the treatment rooms. The spa exclusively uses Ila Spa products, a natural, organic line. Everything from traditional massages and facials is on the menu, as well as unique beauty treatments like Ila Chakra Wellbeing to restore the mind, body and soul. 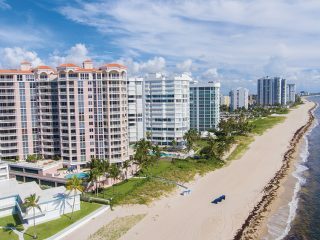 Keep the chill vibes going by claiming a spot at one of the three beaches or several pools, including one overlooking the Caribbean Sea, and an adults-only pool to preserve the quiet. 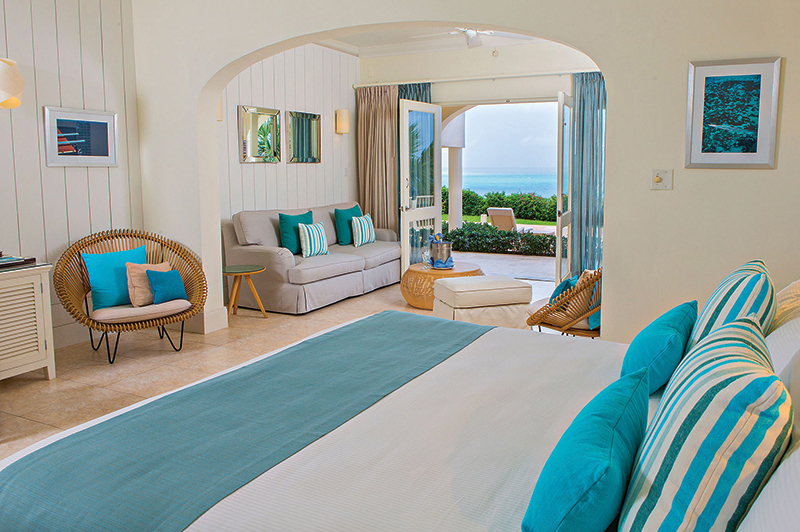 If a private pool is more your style, stay in one of The Cove suite rooms. 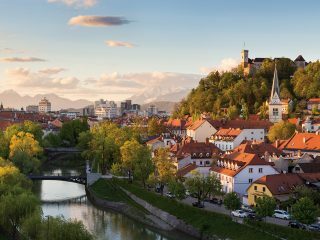 They’re the perfect option if you’re traveling with family or a big group, but renting out just one suite is pretty fantastic too. Either way, the generously sized pool is exclusively for residents. To add to the paradise vibes, the staff makes the rounds even at the private pools, so you can enjoy a pina colada or your drink of choice without having to towel off. 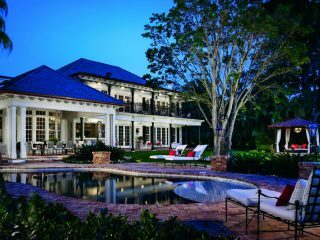 Few things beat sipping a fruity cocktail at the edge of your very own pool. You don’t have to go far for lunch. 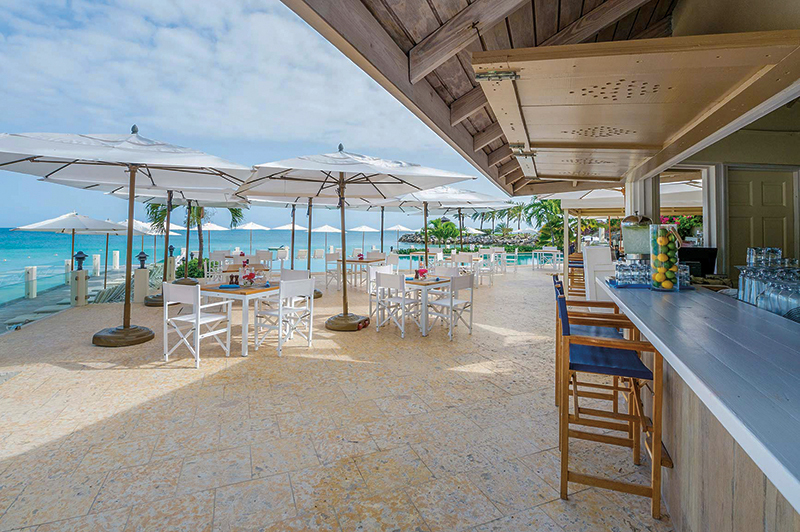 Carolyn’s Beach Bar is located — you guessed it — over the beach on the main pool deck, so there’s no need to leave the ocean views to chow down. The casual spot serves exactly what you’d want to eat on a beach break: crisp salads with fruit and mahi mahi, a variety of flatbreads with a perfectly thin crust (don’t miss the grilled king prawns option), and refreshing smoothies. At dinnertime, head to The Cove Restaurant, where you can dine on a cliff tip. The menu blends French and Caribbean cuisine. 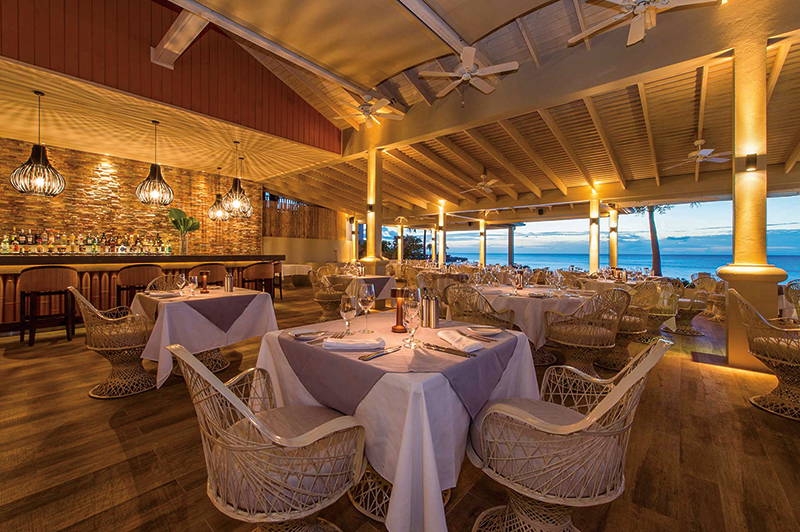 If you need a break from the great outdoors, Bartley’s is one of the few restaurants in Antigua with air conditioning. After dinner, stick around for a rum tasting at the bar. As hard as it can be to tear yourself away from your lounge chair on the beach, there’s plenty of exploring to be done on the island. 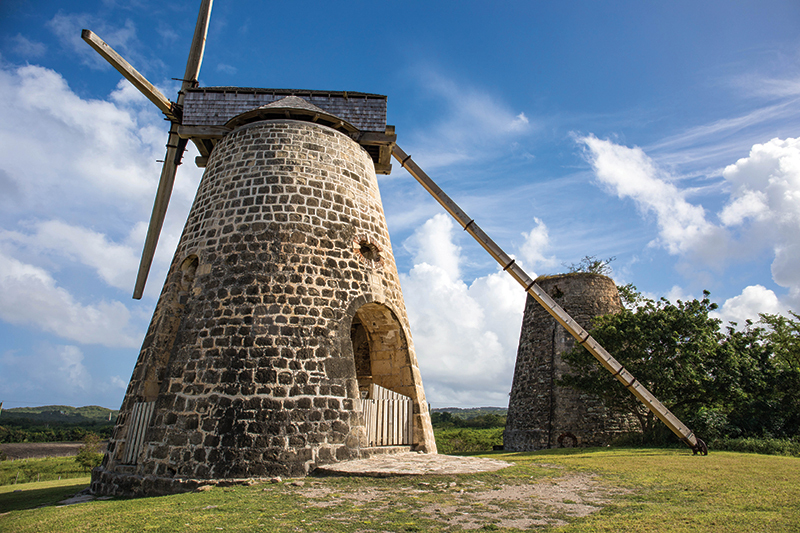 History buffs should make a stop at Betty’s Hope, a former sugar cane plantation located in the rural limestone district. It was founded by Governor Keynell in 1650. His widow inherited it when he died in 1663, but she was forced to leave Antigua during the French occupation in 1666. Though most of the structures have been worn away with time, you can visit the museum to learn about the mill’s history and see what it looked like in its heyday. 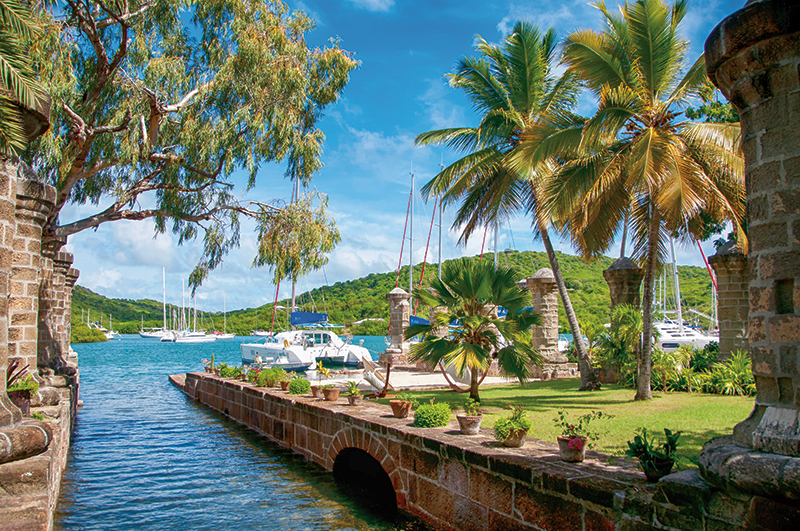 History fans should also pay a visit to Nelson Dockyard, a UNESCO World Heritage Site in English Harbour. The Dockyard Museum, housed in the former admiral’s house, explores its history. 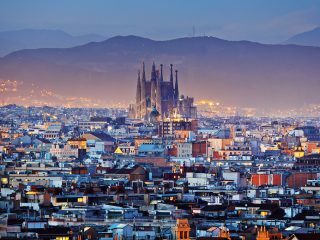 There are also shops, restaurants, hotels and even hiking trails. After that venture back in time, Sheer Rocks at Cocobay Resort is a decidedly modern contrast. The restaurant features a tapas menu at lunch and an a la carte dinner made from responsibly sourced local ingredients, supporting nearby farmers and fishermen. The incredible cuisine — with dishes like truffle macaroni and cheese, spicy smoked pork ribs, and king scallop ceviche — is as drool-worthy as the view. In case the name didn’t give it away, the restaurant overlooks the dramatic shoreline. 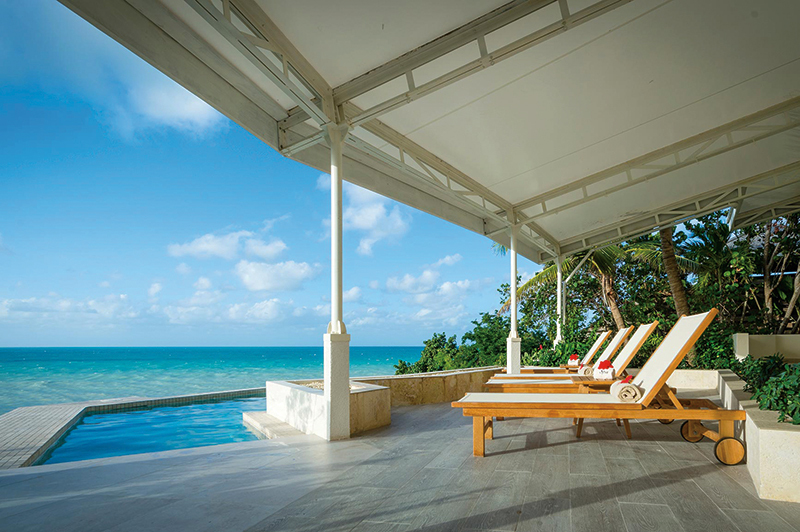 For more privacy, you can reserve a four-poster bed surrounding an infinity pool and have your meal served there. After enjoying the view of the ocean, it might be time to get more hands-on. At Blue Waters Resort & Spa, you can go windsurfing, kayaking or fishing. But if you want to see exactly what’s underneath those crystal waters, go out on their boat for some snorkeling. Just below the water’s surface is an open aquarium that reminds you that there’s plenty of fun to be had in the water, too.